This video course offers a values-based approach to producing not only a stand-out Common Application, activities list, and additional information section, but also the supplemental essays that most selective schools require. 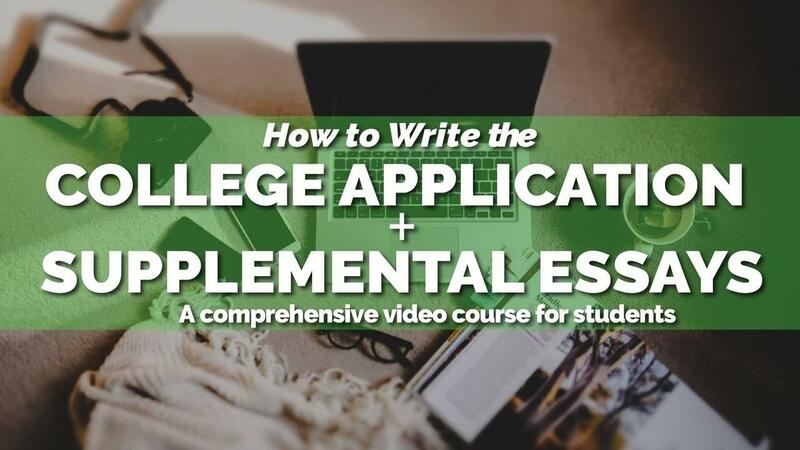 It includes all the resources you need to tackle the application and includes Q&A sessions in which I answer the most common questions about both the college application and supplemental essay-writing process. Remember, this course is Pay-What-You-Can! If you can't afford the suggested price, request a lower price by clicking on the orange PWYC button on the registration page. Access is really important for me, and no one will be turned away for lack of funds.